Three seasons doesn’t sound like much. Especially if we are talking about Syracuse football and bowl game droughts. Before Syracuse football made a bowl game appearance in 2010 (and subsequently in 2012 and 2013), it hadn’t made one since 2004. That is six years. That’s a lot of years when you just have to go 6-6. Easier said than done, of course. But this year, we are heading into Year 2 of the Dino Babers era. And SU has not been in a bowl game since 2013. Everyone would like to see that three-year streak broken, I’m sure. But this is college football. And this is the ACC. There are no guarantees. So bowl game or no bowl game, progress is what really matters this season. 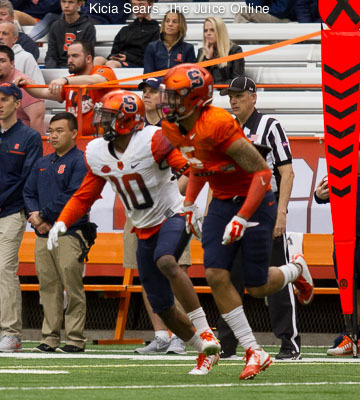 The Orange need to show it is back on the path toward respectability. If that sounds less than ambitious, just remember that Cuse is facing LSU, Clemson, Miami, Florida State and Louisville this year. I’m all for the occasional upset, but you’ve got to be realistic. If we’re looking at the schedule, SU could very well go into its Sept. 23 meeting at LSU at 3-0. And then it gets tough. That is how schedules often work. They start out easy, and then the gauntlet arrives in full force. 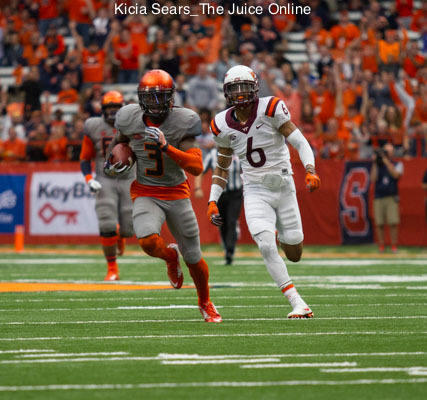 To SU’s credit, it has started recent seasons with some tougher games and has used that to its advantage. This year, though, they “just” have to beat Central Connecticut, Middle Tennessee St. and Central Michigan. It’s imperative for the Orange to start on a high note and build up its confidence. It doesn’t matter how you get to six wins. Just that you get there. Or to five wins. It takes time to rebuild a program. And the ACC is just as good at the top as the SEC and Big Ten. It won’t be easy. 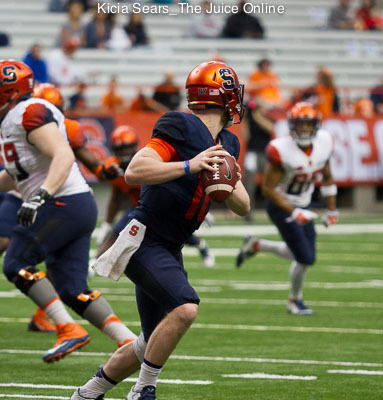 But the Orange have Eric Dungey back again. Consistency at quarterback (and a healthy one at that) is a huge key to being successful. And it’s good to have a coach who has a year on campus under his belt. SU is on the right track. But being on the right track won’t win you a bowl game. You have to stay on the track – and win. Soon we’ll see if Babers, Dungey and co. can get closer to breaking that streak. It may not come this season. But that doesn’t mean there’s no forward progress.